The purpose is to force people to leave their most comfortable thinking-style and intentionally think in a new way. When brainstorming in my class, for example, I tell students to think creatively not critically. 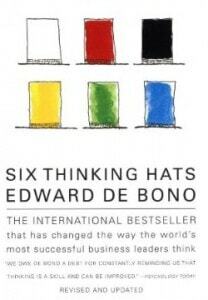 This is an example of DeBono’s green hat. When a duplicate idea is shouted out, my class now resists the temptation to put their black hat on and point out the problem. We simply write that duplicate idea on the board. Later, we will have the chance to prune ideas using the appropriate hat. 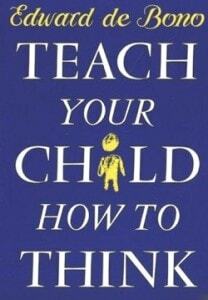 Teach Your Child How to Think is a collection of DeBono’s ideas on thinking packaged for parents. It also works great for teachers. DeBono groups his various ideas into three page essays categorized by age-level. One example I have gleaned from this book is the use of PNI – positive, negative, and interesting. Ask your students to give a positive, a negative, and an interesting trait about a subject. Challenge them by picking positive- or negative-heavy examples such as recess or homework. 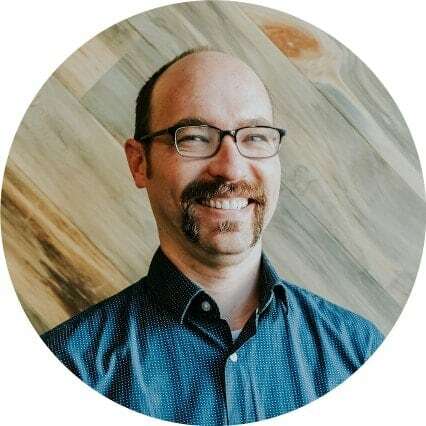 Like the six hats, this forces students to intentionally approach a subject in different ways. 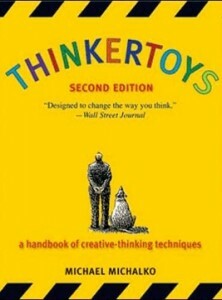 Written by Michael Michalko, Thinkertoys is a collection of ideas for creative thinking. The most famous idea from this books is undoubtedly SCAMPER. This technique gives students specific ways to creatively approach an idea. I introduced this concept with my gifted students using a hamburger. Students developed burgers with sauce on the outside, pudding in the buns, and extra-large patties. Allow students to rewrite famous stories, combine history and music, or develop new products using SCAMPER.